Scar Tissue Clothing was a project we worked on initially in late 2016 however have continued to develop the web site on an ongoing basis. Based on a Magento platform with many features built in and expand on, such as an ‘Instagram Shop’ which pulls content from the brands social media account & links to product pages for consumers to be able to purchase the outfits seen on their favourite celebrities, influencers & models. 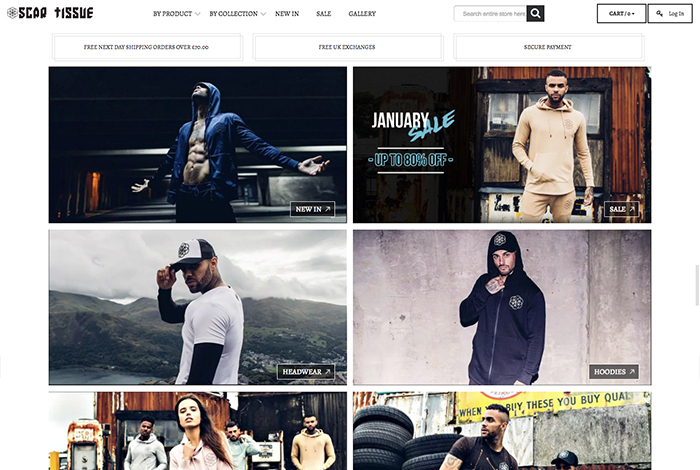 This site has been one of the most exciting projects to work on as we see the brand go from strength to strength.